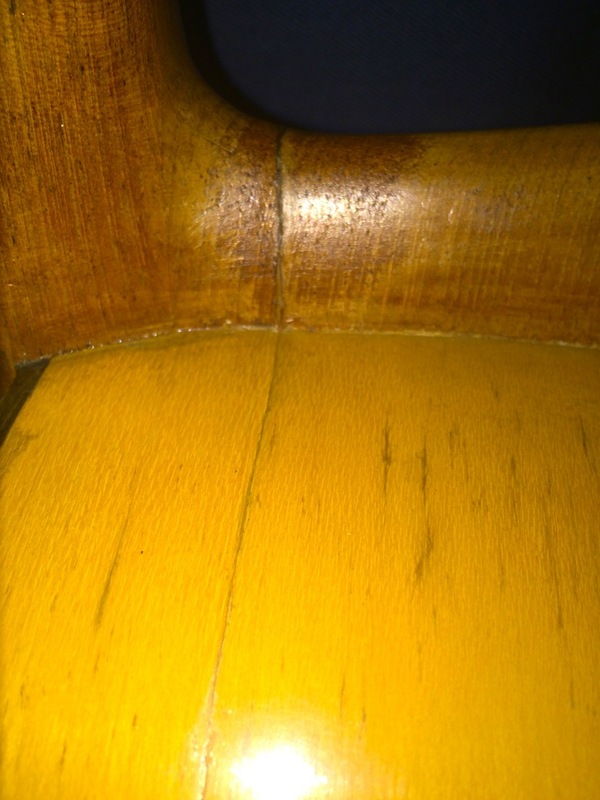 I have no idea what it's made of, but the back and sides are light in colour. The neck is a massive baseball bat (no truss rod) but the body feels quite lightly braced. 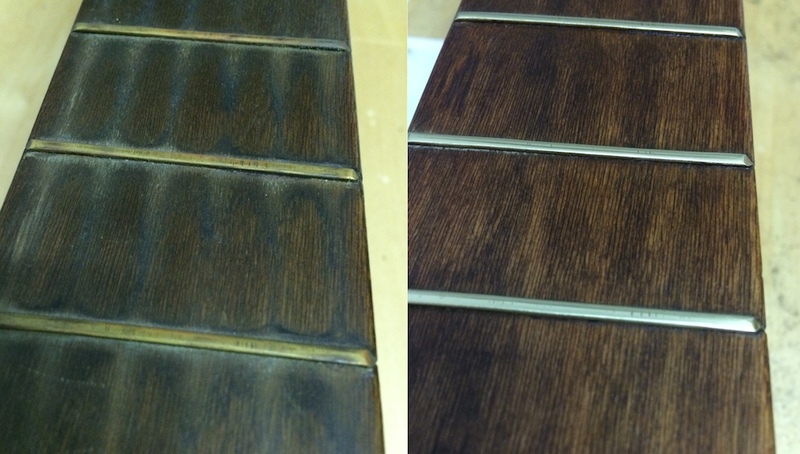 It's in a good playable condition, maybe only needing a scrape of the fingerboard, a polish of the frets and a set of new strings. I've never had a nylon-string guitar before, so any advice appreciated! Thanks @WezV - interesting. It's a little rustic and probably what would be called a "student model" but it's hand crafted and I'm pretty sure it's solid wood. When I first saw it a few years ago my impression was that it wasn't full sized, but it appears to be maybe a centimetre short of a dreadnought scale length. 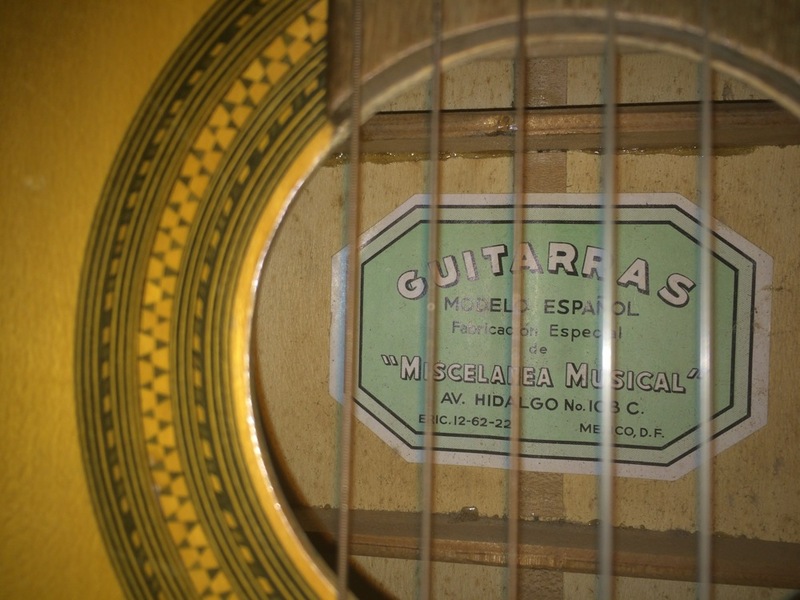 I don't know if "modelo espanol" implies a bit of a flamenco influence, or whether it's typical of the folk instruments of 1960s Mexico - I don't think it's refined enough to be called a classical. 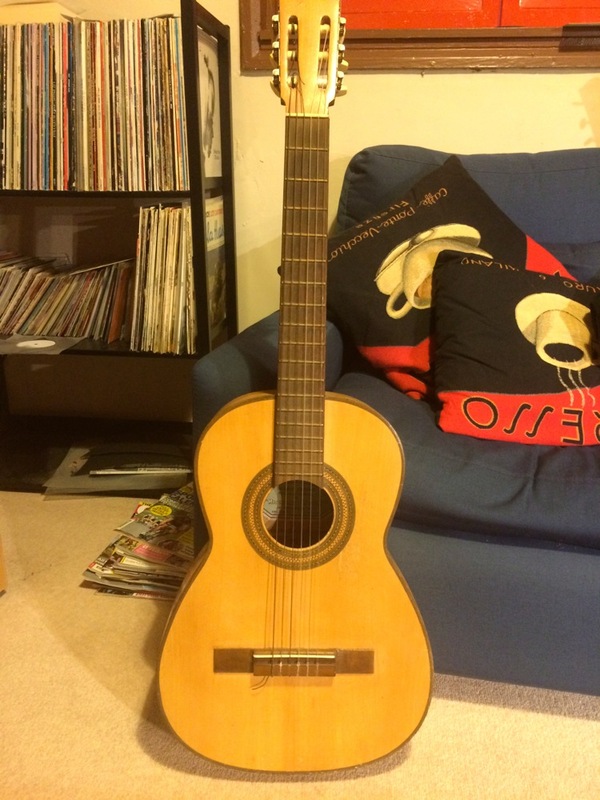 Nice to have a nylon string guitar in my collection, especially one that's a piece of family history. I'm going to have to learn to play something typically South American on it! 285 is that dollars or pesos? 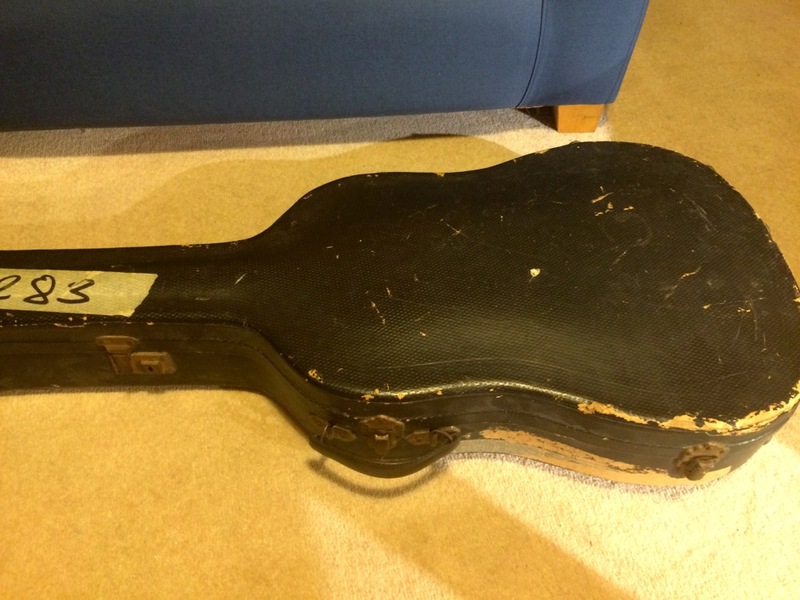 If dollars, that was some guitar back in it's day. 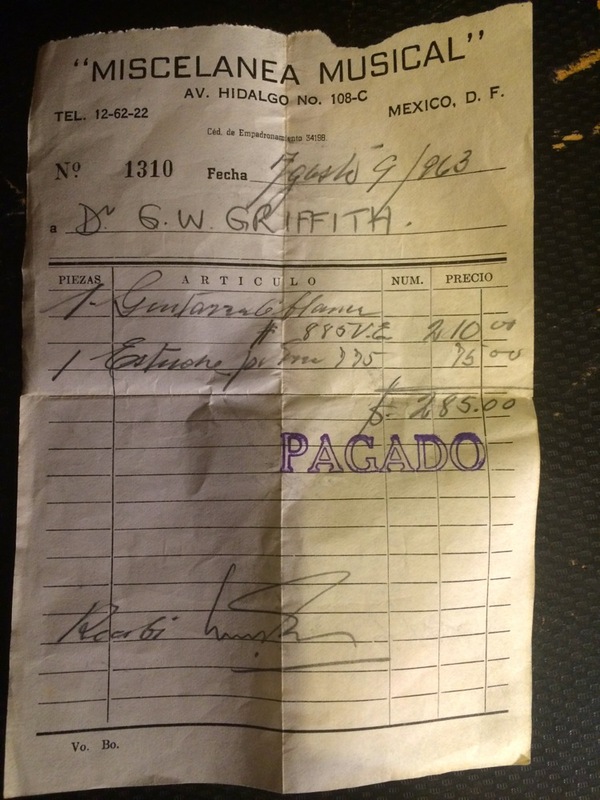 I don't know how pesos would convert from that time. Pretty sure it was Pesos, it's definitely entry-level. Still nice though.